19:00 Barbeque(Braii) at the club. Book at registration, 195 sek/20 euro. Not to miss!!! About 7-8 july: Surfski SM is a part of Swedish Champion Week (SM-Veckan). And we wants to show the surfskisport for more people. The plan is to do one Lifesaving Race and a short track race for doubles. The doubles race will be a handicap race were we try to make even teams. North wind. 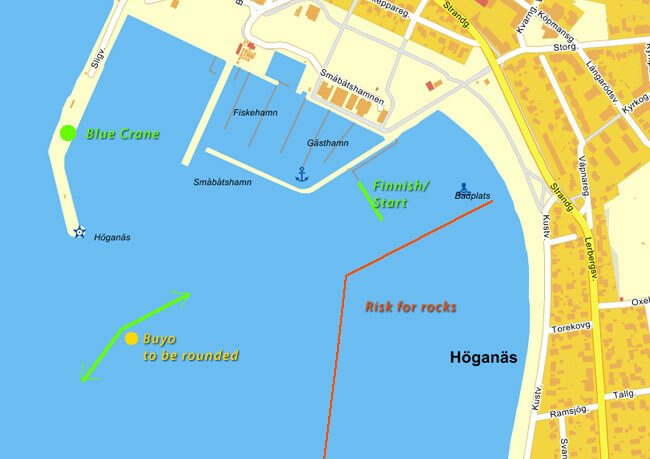 The race starts at Kvickbadet Höganäs, then we round the lighthouse "Svinabådan" and after that we aim for next mark a West bouy marked with a yellow bouy. The finnish line is in the beach in Helsingborg. The area have a nice promenade and there will be, if the weather is nice a lot of people welcomming you when you after 20 km paddling take the finnish line. South wind. The race starts at Gröningen in Helsingborg. The area have a nice promenade and there will be, if the weather is nice a lot of people see you start the race. 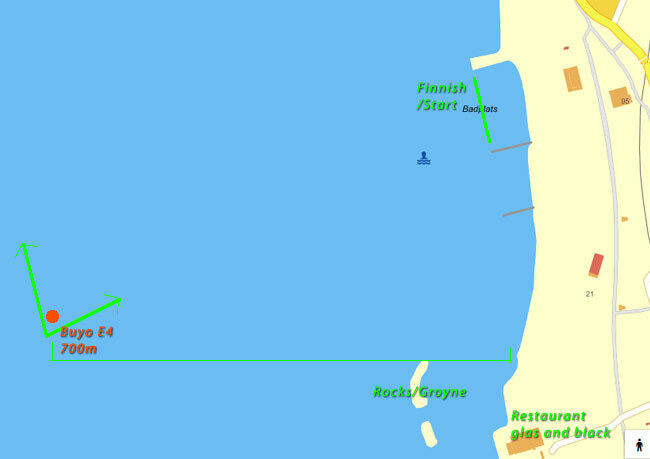 After the start we aim for a yellow buoy 800m out and after that the lighthouse Svinabådan. After the lighthouse turn slightly right and go ahead to Höganäs harbour/marina. You see the marina and the big container crane. Aterra Wave Challenge welcome competitors and paddlers from all countries. The race is open for surfski. Register office is at Aterra Kajpromenaden 12 (GPS Stuvaregatan 6) Helsingborg Sweden. The race follow the coast around 1-2 km out in the sea. 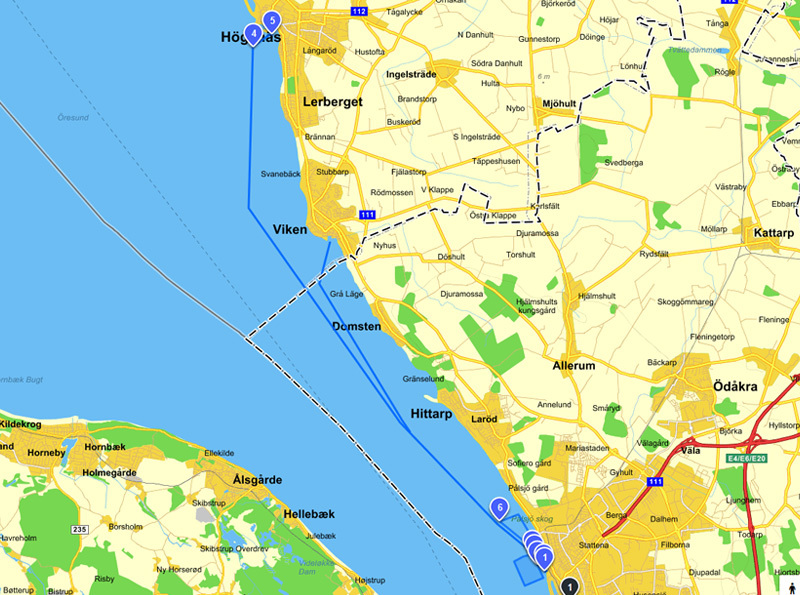 It goes from Höganäs to Helsingborg or the other way. Its about 20 km long and we have had winds for all seven years we have arranged the competition. 20 km downwind in open sea. 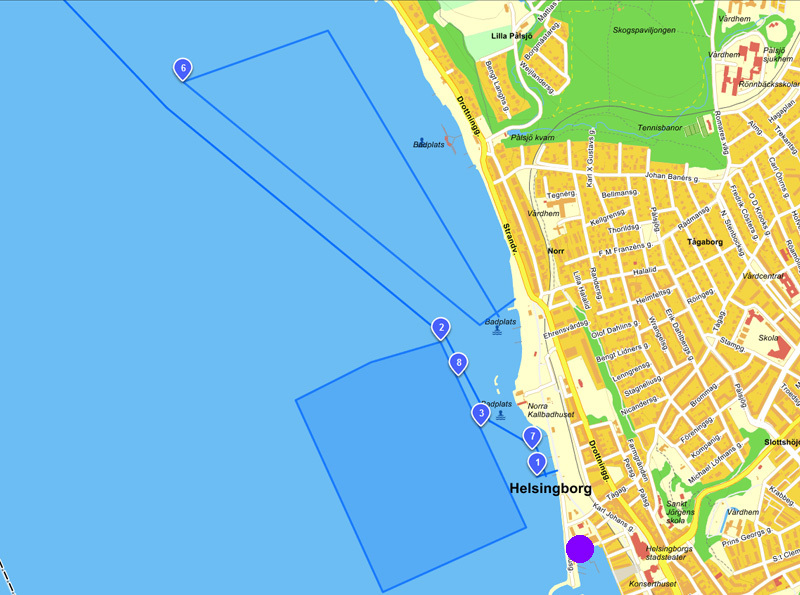 The finnish is in Gröningen in Helsingborg or Kvickbadet Höganäs. **NEW Class SS1 U18! Born 00-01. 19 km. Trailers park in front of Aterra. 09.30-11.00 at Aterra Kajpromenaden 12 (GPS Stuvaregatan 6) Helsingborg Sweden. 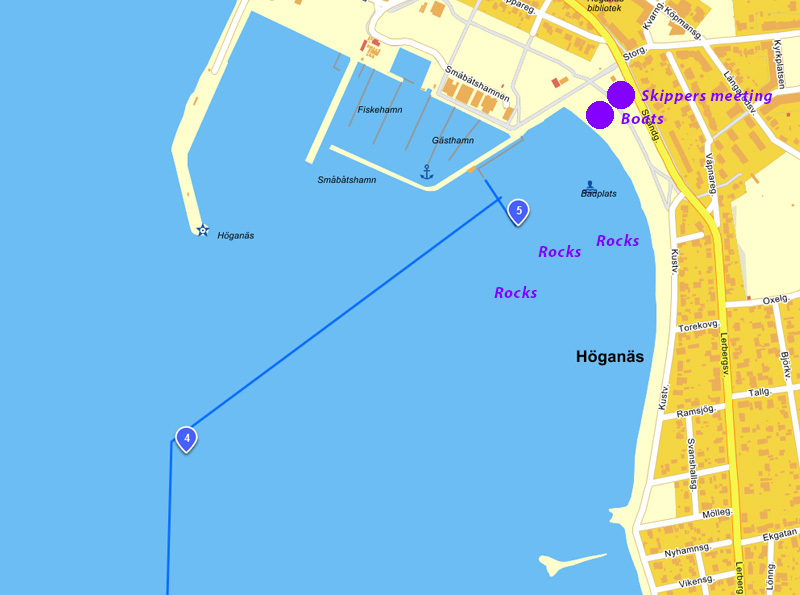 11.00 Goes to Höganäs Kvickbadet. Startday 7 july. Day for SS1. 30 min to start land flag on land up on beach. Long Signal 3-5 sec. 5 min to start 2 flags up. 2 min to start 1 flag up. 1 min to start 1 flag in hand. During this minute the start can go any time. 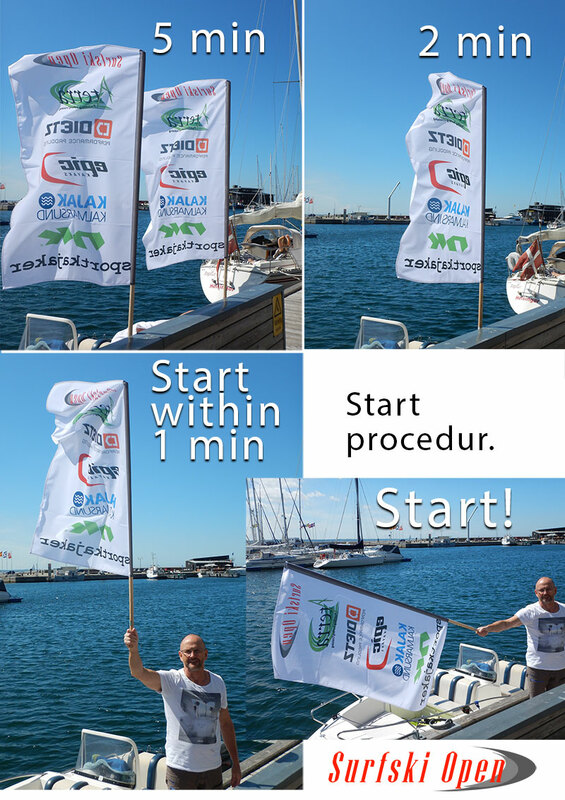 Start flag down + 3 sec. long signal. Boat 1 +46XXThis boat will ensure the safety of the last competitors. Boat 2 +46XX This boat will patrol the last 2/3 of the competitors. First person how cross the finnish line and have followed the track wins. "Svinabådan" lighthouse out in the sea. Hittarp/Laröd the last village before Helsingborg. You shall be dressed to manage at least 30 minutes in water. Colourful clothing on shirt and/or PFD, fully black is not allowed! Start Höganäs: When you arrive register, load your ski on a trailer and fasten it, a buss go to the start 11.15. Start Helsingborg: When you arrive register, put dry clothes in a bag and put the bag in one of the cars with trailer. You will find your clothing in the clubhouse. Buffé will be served in or outside Helsingborgskanotisterna. Depends on the weather. This is included in the fee. WE have a good chef in the club that will fix us a great evening barbeque. Book mealticket at registration! Ride hard and good luck!